I’ve been ice-skating since I was 10 but never really got into it until my parents opened up Modesto On Ice four years ago. They bought me my first pair of figure skates for Christmas the first year we opened. It’s a hobby I really enjoy doing with my younger sisters. I am a person that enjoys being active and being outdoors. My favorite hobbies include ice skating, CrossFit, boating, hiking, and four wheeling. On my fourth year with Modesto on ice been skating for 4 years and playing hockey for about 3 years. I enjoy helping people learn to skate and seeing how much fun people can have. I want skaters to find confidence in their abilities and develop their skills. Hey everyone, I’ve been skating for about 7 years now and this upcoming season will be my 3rd year at Modesto On Ice. I have been playing hockey since I was 11. Hockey’s what I enjoy doing on my free time and helping out in the community as well. I’m looking forward to teaching everyone the proper technique on how to skate and have fun while doing it! 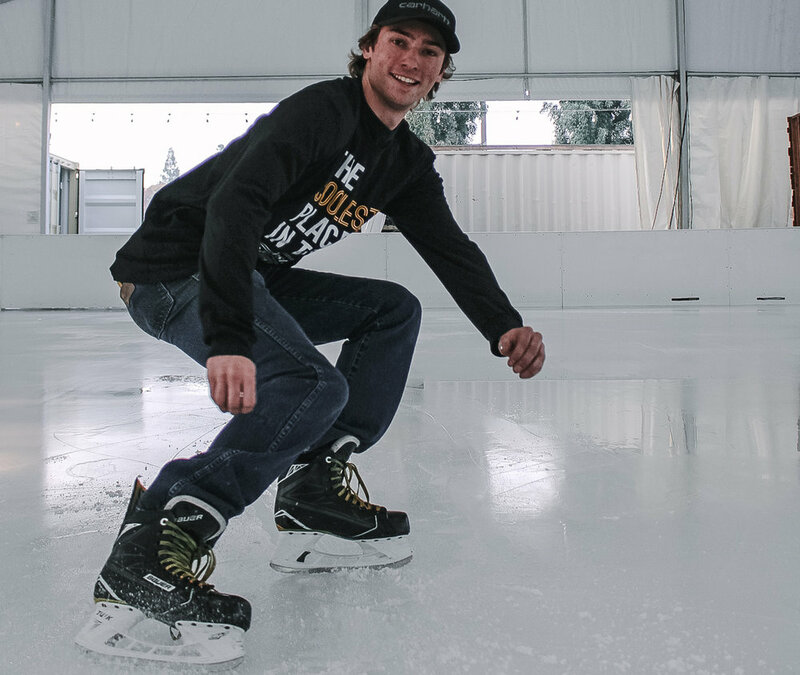 Modesto on Ice is offering 30 minute skate lessons, Saturday mornings from 9:00 to 9:30. These lessons are for kids ages 3+. We would like to offer adult classes as well. If we have enough interest, we will add a class from 8:30 to 9:00 on Saturday mornings. Small group lessons are only $75 for 4 weeks of lessons with each class building on the previous one. The first (4) week lessons will be held on Saturdays, 9am-9:30am on November 24th, December 1st, December 8th & December 15th. The second set of lessons will be Saturdays, 9am-9:30am on December 29th, January 5th, January 12th and January 19th. Skaters will run through warm ups, skating drills, obstacle courses, races, and games. Personal skates are not required but are highly recommended in order to get the most out of your lessons. Skaters are welcome to wear helmets, knee pads, and elbow pads if desired.